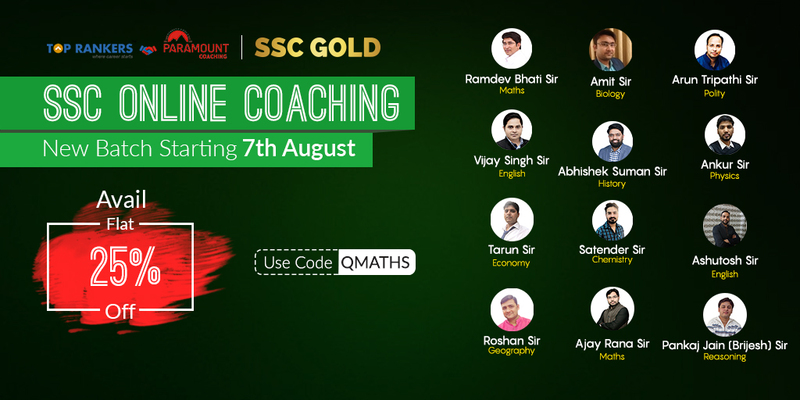 TopRankers in association with Paramount is launching a new batch of SSC Gold Live Class! The class starts on 7th August 2018. With the help of these live classes, you can prepare for all SSC Prelims exams like CGL, CHSL, MTS, JE etc. from the comforts of your home. The classes are in both Hindi and English medium to cater for the needs of students all over India. This is an amazing opportunity for those who could not enroll in the previous batch. Special offer - Use Coupon Code : QMATHS to get up to 25% OFF on the packages, only for a few days. Disclaimer: This is a guest post and the contents may not represent personal views of admins.